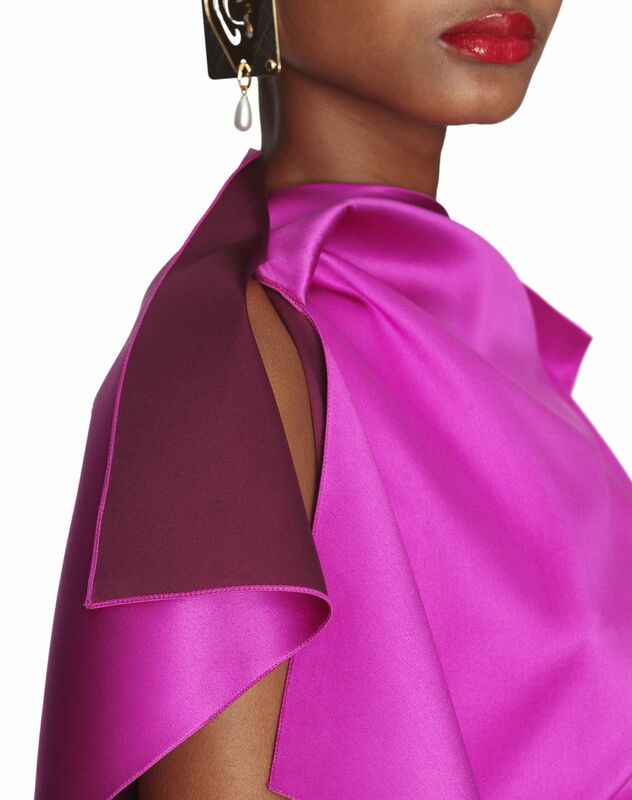 Short two-toned dress in hot pink silk weave, short sleeves, slightly draped neckline with invisible opening button, inset with contrasting ruffle detail on the right side and invisible closure. 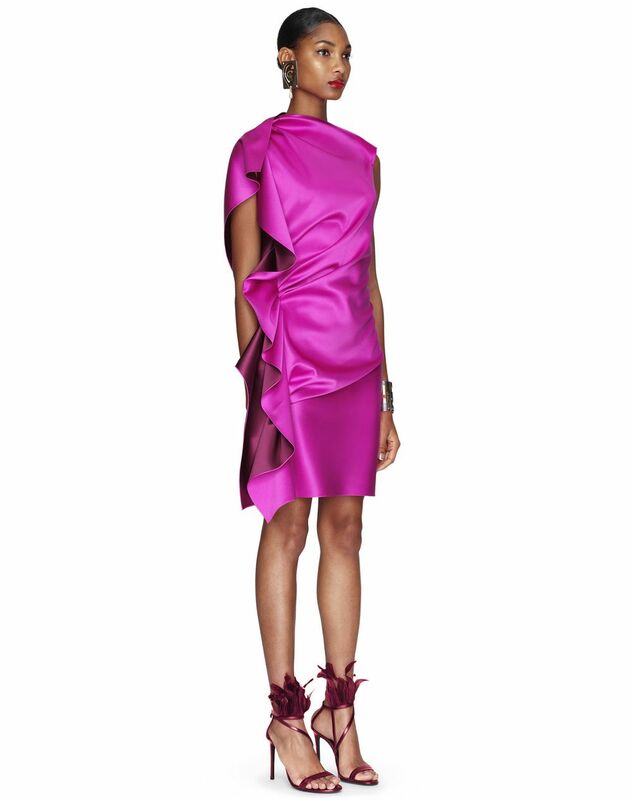 This delicately shaped short dress is both fluid and structured at the same time. 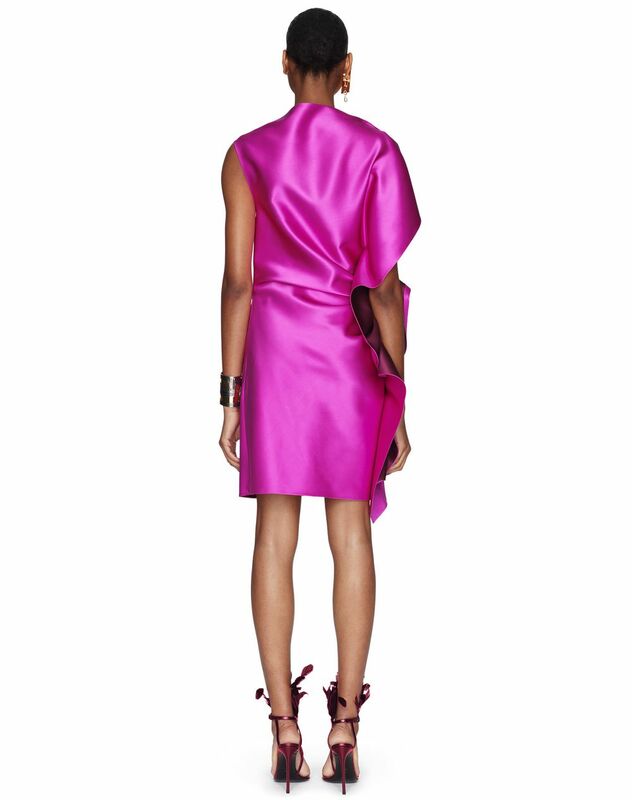 The vibrant colour of the silk adds a bright touch to this decisively couture piece. 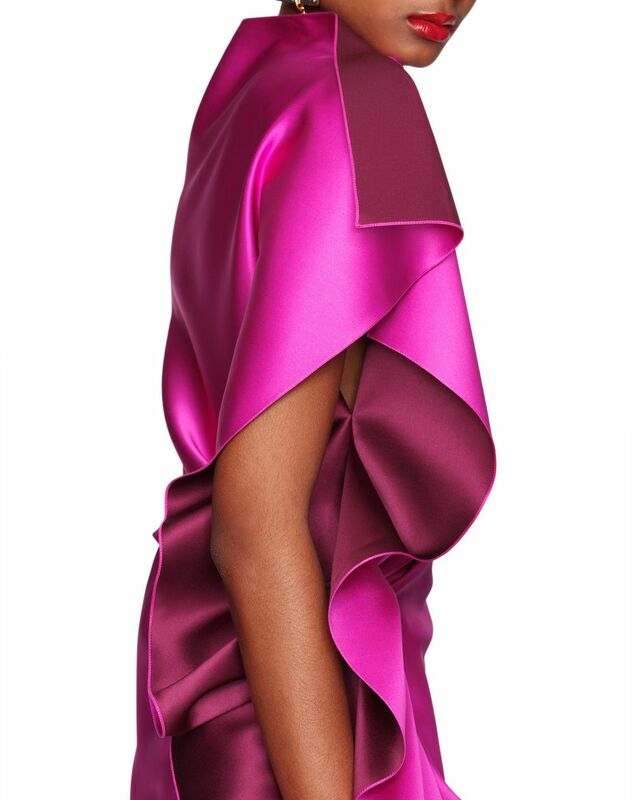 Adorned with a two-toned ruffle inset, this evening dress will highlight your figure while providing sophisticated flair. Main material: 100% silk weave. Model's measurements: Height: 179 cm Bust: 72 cm Waist: 57 cm Hips: 87 cm Model wears a size 8. Made in France.